Enjoy a cocktail at our luxurious Tiki Bar, or sit on the Patio Furniture and watch some sports on our 55″ LED Flat Screen TVs. The Fireplace is always on along with the Patio Heaters for those cool nights. The water fountains and Italian Wrought Iron Gazebo add just enough romance on the patio. There is a full Grill Menu available along with Daily Drink Specials. Private Parties are welcome. 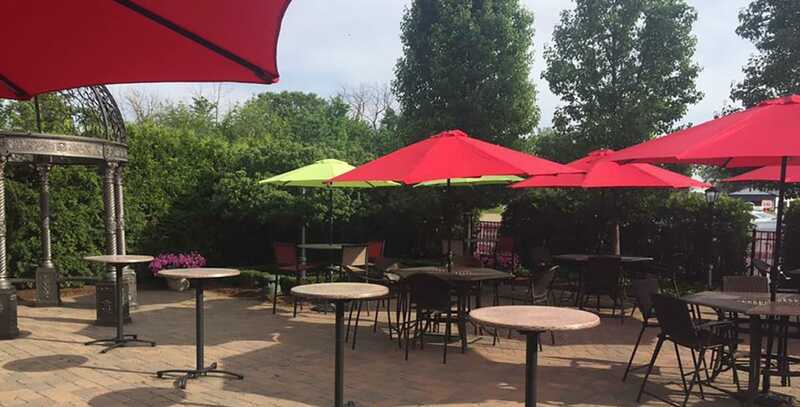 Starting on Memorial Day and going until Labor Day the patio will be open Wednesday thru Saturday at 4pm (weather permitting). Live Entertainment Thursday & Friday. Click here to contact one of our coordinators now!